One of the most enjoyable things about riding a mountain bike is being able to take in the amazing scenery on the trail but what if you want to enjoy that scenery later? Or you want to be able to see what you did well (and not so well) on the trail? If that’s the case, you’ll want to look into buying the best helmet camera for mountain bikers. With so many different cameras on the market, deciding which model is best for you can be tough; but if you prioritize your needs, you may have an easier time. Going into your search knowing what your budget is and what you want to use the camera for will ultimately make your decision much less stressful. We’ve put together a helpful guide of the best helmet cameras for MTBRs below. Once you’ve read the guide, you’ll have the information you need to make your decision with confidence. 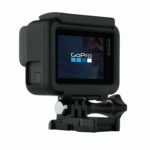 Although the GoPro is not exactly wallet-friendly, there is nothing more exciting than recording your mountain biking adventures in the 4K quality that GoPros provide. In addition to the resolution, other features you can enjoy include the one-button control and a waterproof exterior along with a host of others. Aside from the great resolution, this camera comes with GPS capability. The GPS works with the telemetry sensors to overlay data such as elevation and speed on your video. With this camera, unstable photos and videos are a thing of a past as the stabilization features are second to none. The GoPro is also voice operated. This means you can operate and use this helmet camera without your hands, giving you the opportunity to focus solely on navigating your bike without any distractions or unplanned stops. The two-inch display has the feel of a smartphone and provides great viewing on the camera. It also gives you the capacity to trim and change angles as you desire. Additionally, you can access any of the camera settings directly from the screen. The GoPro Hero 5 is at the top of our list—and for good reason. It comes with a host of fantastic features for both experienced and inexperienced bike users. There are also numerous mount options to choose from regardless of your specification. This is a well-rounded camera that any mountain biker would appreciate. As the name suggests, the TomTom Bandit is another helmet camera with 4K resolution. Mounting this camera is quite easy, requiring just one “click” into the mount. You can also mount it on a GoPro mount, so there’s no need to change the mounting setup if that’s what you were using previously. While people are watching you in action, this camera allows you to highlight your location, top speed, and height of any action location you desire. The only drawback is that you can only do this with an iOS device. This camera also allows you to capture photos in high-level detail. You can shoot pictures and videos in 720p at 120 frames per second and 1080p at 60 frames per second. The Bandit is a true action camera, utilizing its built-in sensors to tag what it thinks might be the highlights of your ride. You’ll feel like an X-Games all-star when you can easily create a video of your ride, showcasing the most exciting parts. This camera lets you edit unique moments from your footage with great features and eye-catching effects before sharing it online, right from the app on your phone. low motion and timelapse are great features to use if you’re trying to create different, exciting presentations of your footage. The latter is ideal if you love riding during sunrise or sunset. If you ride in a variety of terrains and need a camera that can keep up, especially in low light, the Sony HDR camera is a great option. This camera performs so well in low-light situations thanks to its Exmor R CMOS sensor. This sensor, along with the high-quality lens and focus features, makes for fantastic video and picture taking, no matter what time of day it is. Aside from its low-light features, this camera is highly-stable and offers extremely crisp, clear video no matter what terrain you’re riding on. It’s Zeiss lens keeps every shot straight, true, and ready to be viewed with your friends and family after your ride. The Sony HDRAS5R/B also comes with WiFi connectivity, Bluetooth, and NDC compatibility. And with its remote, you can easily watch your recordings anywhere you’d like. For individuals who often get caught riding in the rain, this waterproof camera can capture your shots no matter how hard it is pouring, and can withstand a water depth of up to 60 meters. 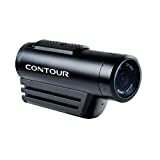 If you are in search of a quality camera to use while taking a ride on your mountain bike, the Contour ROAM3 could just be what you need. Its aluminum construction makes it extremely easy to carry without fear of any plastic components or frame breaking. It’s water-resistant which makes it a great option no matter where you live or ride. With this helmet camera, you have the ability to capture awesome moments from your recordings as still photos. All you have to do is head to the menu and use the “photo mode” to take pictures from your footage. Another appealing feature this camera comes with is the “Instant On” system. This helmet cam does not have the standard on or off switch, but instead it provides you with a slider which you can place on “Instant On Record.” This lets you record videos or take pictures anytime you are ready. Pictures taken with this camera can capture over 170 degrees of view, and it has the capacity to rotate at a maximum angle of 270 degrees to take great videos and shots while biking. Using this camera, you can record videos in 720p, 1080p and 960p. 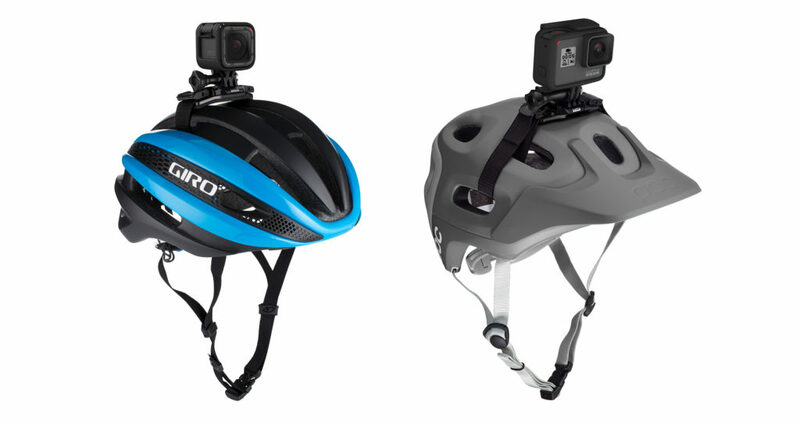 The Garmin Virb helmet camera comes with numerous features that individuals who are serious about mountain biking would enjoy. With the aid of the CMOS sensor with 16 MP, you can take numerous standard and HD videos simultaneously. This makes storage of videos easier, especially if your disk space is limited. With this camera, you can record in full HD for three hours, which is plenty of time to capture your ride. Using standard definition requires less battery usage, and results in longer recording times. Nonetheless, it’s a great choice for individuals who want HD-quality recording for medium-length trips. The camera offers multiple modes, allowing you to choose to record in wide angle, narrow angle, or at a normal angle. Additionally, it offers a “sports mode” which features enhanced stabilization for even the roughest of rides. The Garmin Virb Elite also has a microphone, which is great if you want sound to accompany your video recordings. It is also totally waterproof, making it ideal for biking in any weather conditions without worrying about your equipment getting damaged. Most helmet cameras are very easy to set up, depending on which one you buy, but here is a good video from the Global Mountain Bike Network to help you get things perfect. Skip to 2.44 for helmet mounting setups. Cameras come with various image quality. Some come in 720p, 960p, HD or full definition which offers clear playback. There are also cameras which support all at once, so it’s best to make your choice based on your needs. Although some cameras come with built-in storage for saving videos and pictures, most support SD cards allowing you to make your recordings lengthier. The camera memory should be a major factor depending on the length of trips you intend to record. A camera that provides three or more hours of battery life is a good choice. The quality of the recording is affected by the battery life, so if you plan on recording long HD videos, you should choose something with a high battery capacity. Portability is essential, so it is best to search for the smallest units you can find. You should also put the form of the camera into consideration, as bullet style cameras usually function properly for mountain bike rides. A camera’s features will impact its price, so you should consider your budget before making a choice. Only go for helmet cameras that you can afford. Many cameras have the capacity to pick up sounds better than others. If audio is a priority for you, look at cameras that capture high-quality sounds even at high speeds. Not all cameras can achieve this as the wind tends to drown out the sound. Consider any additional features that might be useful to you. Some cameras offer GPS, WiFi, and Bluetooth functionality. Others come with voice commands and even remotes for increased convenience. Choose a helmet camera that has features you will enjoy. – Helmet cameras give you the capacity to record your experiences from your point of view. You can watch alongside friends and loved ones numerous times so they can feel the excitement as if they were there with you. – If you are training for a competition, they can be helpful. You can mount them on your helmet to observe areas for improvement before the actual event. – They allow you to record activities for lengthy periods of time. This gives you the ability to save action spots in new cities to view later. – Cameras prevent bad behavior from other users of the road. When individuals see you have a camera, they tend to become better behaved so as not to be caught misbehaving on film. – Some helmet cameras come with GPS, which can help you find your way back home if you ever get lost. One of the best features of helmet cameras is that their portable sizes give you the capacity to mount them in different locations. Each location provides you with another distinct view. The best ways to use helmet cameras include attaching them to your helmet, bike, or body depending on the kind of view you are in search of. Note that you may have to get a different mount depending on where you decide to attach it. If you don’t know how to fit this camera on your helmet, check out this video. Two major things that make a helmet camera an ideal choice are the portability and the features. For both of these qualities, the best camera on this list is the GoPro Hero 5 Black. The GoPro Hero 5 ticks all of the boxes necessary for recording high-quality videos and taking great photos. Regardless of your level of experience, it is sure to meet your requirements. The Hero 5’s battery life is also one of the best on the list, along with its numerous mount options and voice commands, which you can’t get with most of the other helmet cameras listed above. Do you have additional recommendations or want to share your thoughts regarding anything we missed on the list? Just leave a comment below.